At Fast Media, we value your trust in us and are extremely proud of our commitment to protect your privacy. We strive to work hard to earn your confidence and loyalty so that you can actively use our services and recommend us to friends and family. Please read the following policy to understand how your personal information will be treated as you make full use of our Site. Fast Media promises that we will not sell or rent your personal information to third parties for their marketing purposes without your explicit consent. From time to time we may reveal general statistical information (non-personally identifiable information) about our Website and visitors. This information may include the number of visitors, number and type of goods and services purchased, etc. We may also use non-personally identifiable information in the aggregate so that we can improve the Site and for business analysis and administrative purposes. Your trust and confidence are our highest priority. When you use our Site, we collect and store your personal information from you. Our primary goal in doing so is to provide a safe, efficient, smooth and customized shopping experience. This information allows us to provide services and features that most likely meet your needs, and to customize our Site to make your experience safer and easier. Importantly, we only collect that personal information about you that we consider necessary for achieving this purpose and fulfilling your purchase orders, strictly on a need-to-know basis. In general, you can browse the Site without telling us who you are or revealing any personal information about yourself. Once you give us your personal information, you are not anonymous to us. Using various data collection technology, our Site may track the amount of time spent on our website, categories of products browsed, search patterns etc, to give you an enhanced shopping experience. To fully use our Site, you will need to register using our online registration form, where you may be required to provide us with your contact and identity information, residence/place of business information, billing information, shipping information, bank account details and other personal information as indicated on the forms throughout the Site. Where possible, we indicate which fields are required and which fields are optional. You always have the option to not provide information by choosing not to use a service or feature on the Site. When provided with a Fast Media Email ID by you, we may automatically track certain information about you based upon your behavior on our Site. We use this information to do internal research on our users' demographics, interests, and behavior to better understand, protect and serve our users. This information is compiled and analyzed on an aggregated basis. This information may include the URL that you just came from (whether this URL is on our site or not), which URL you next go to (whether this URL is on our site or not), your computer browser information, and your IP address. If you choose to buy or make a purchase on the Site, we collect information about your buying behavior. We also collect users' comments in our feedback area. If you establish a credit account with us to pay the fees we charge, we collect some additional information, such as a billing address, a credit card number and a credit card expiration date. 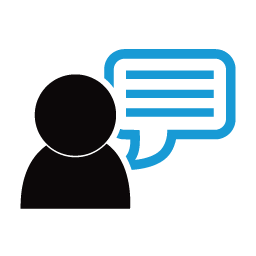 If you choose to post messages on our message boards, chat rooms, and other message areas or leave feedback, we will collect that information as provided by you. We retain this information as necessary to resolve disputes, provide customer support and troubleshoot problems as permitted by law. If you register for the Site on another website or use a website providing a service for Fast Media or a website that helps facilitates your activity on the Site, that website is permitted to provide personal information about you to us. We use your personal information to facilitate the services you request. We use your personal information in the file we maintain about you, and other information we obtain from your current and past activities on the Site to: resolve disputes; troubleshoot problems; help promote safe buying; measure consumer interest in the services provided by us, inform you about online and offline offers, products, services and updates, customize your experience, detect and protect us against error, fraud and other criminal activity, enforce our User Agreement and Terms and Conditions, and as otherwise described to you at the time of collection. At times, we may look across multiple users to identify problems or resolve disputes, and we may examine your personal information to identify users using multiple User IDs or aliases. We may compare and review your personal information for errors, omissions and for accuracy. We use personally identifiable information provided by you to help us identify and/or provide information, products or services that may be of interest to you. We use your personally identifiable information to support and enhance your use of the Site and its features, including without limitation: fulfilling your order; providing customer service; and otherwise supporting your use of the Site. We also track your past purchases to provide you with a personalized profile of your shopping history. In addition, we may notify you about new services or special promotional programs, or send you offers or information. We may also use your information to deliver communication to you that, in some cases, are targeted to your interests, such as new services and promotions. The following are examples of some categories of persons to whom we would share your information with from time-to-time. b) Fast Media may also aggregate (gather up data across all user accounts) personally identifiable information and disclose such information in a non-personally identifiable manner to advertisers and other third parties for other marketing and promotional purposes. a) When a user lists a classified advertisement, and the advertisement receives an expression of interest by the interested user, the interested user will be provided the contact information of the user listing the advertisement as provided in that user's registration forms. b) When a user expresses an interest in a classified advertisement, the user who has listed the advertisement will be provided the contact information of the interested user as provided in the interested user's registration form. We cooperate with law enforcement and regulatory inquiries, as well as other third parties to enforce laws, such as: intellectual property rights, fraud and other rights, to help protect you and the community from bad actors. Therefore, in response to a verified request by law enforcement or other government officials relating to a criminal investigation or alleged illegal activity, we can (and you authorize us to) disclose your name, city, state, telephone number, email address, User ID history, fraud complaints, and bidding and listing history without a subpoena. Without limiting the above, to respect your privacy and our ability to keep the community free from bad actors, we will not otherwise disclose your personal information to law enforcement or other government officials without a subpoena, court order or substantially similar legal procedure, except when we believe in good faith that the disclosure of information is necessary to prevent imminent physical harm or financial loss; or report suspected illegal activity. Further, we can (and you authorize us to) disclose your name, street address, city, state, pin/zip code, country, phone number, email, and company name to Intellectual Property Right's owners under confidentiality agreement, as we in our sole discretion believe necessary or appropriate regarding an investigation of fraud, intellectual property infringement, piracy, or other unlawful activity. 6. What about children's privacy? Children are not eligible to use our Site and we ask that minors (under the age of 18) do not submit any personal information to us. If you are under the age of 18, you cannot sell or purchase any items on the Site. If you wish to purchase or sell an item on the Site, such purchase or sale may be made by your legal guardian or parents who have registered as users of the Site provided that such purchase or sale is not in relation to any adult material/mature audience items displayed on the Site, the sale or purchase of which to/by minors is strictly prohibited. To protect your privacy and security, we will verify your identity before granting access or making changes to your personally-identifying information. If you have registered your profile on Fast Media, your Fast Media Email ID and Password are required to access your profile information. When you place orders or access your account information, we offer the use of a secure server. The secure server software (SSL) encrypts all information you put in before it is sent to us. Furthermore, all the customer data we collect is protected against unauthorized access. To prevent unauthorized access, maintain data accuracy, and ensure the correct use of information, we will employ reasonable and current Internet security methods and technologies.